Israel has now received its own, admittedly watered-down, version of the Abu Ghraib scandal. In the original, American service men and women posed next to naked and humiliated Iraqi soldiers. In the Israeli version, a female ex-soldier from Ashdod has posted pictures of herself on Facebook next to blindfolded Palestinian prisoners. The pictures have caused outrage more or less everywhere, from the IDF to the international media, and the girl is met with universal condemnation. What, then, is her response now in the month of slikhot? If you hurt anyone? If? It would seem that the ability to accept responsibility displayed by the Chief of Staff Ashkenazi the other day doesn’t extend all the way down through the organization. According to Swedish custom, the climber who first reaches a new peak gets the privilege to name it. Haaretz reports that some climbers with a highly developed interest in the Second World War and a somewhat less developed sense for decorum have used this privilege to give mountains they’ve conquered in Järfälla, not far from Stockholm, names such as “Little Hitler”, “Zyklon”, “Crematorium” and “Third Reich”. I’m not sure what surprises me the most about this story. I guess it must be the news that there are mountains in the Järfälla area. UPDATE: The report in Haaretz seems to be based on this article in Dagens Nyheter. At least that clears up the mountain issue. Israelis are very proud of their contribution to saving the planet by developing techniques to use solar energy. But let’s face it: this country has other things on its mind, and environmental concerns have frankly been pushed to the backburner, where they’ve been nursed by Tel Avivians and hippie immigrants from the United States. That’s why it’s highly symbolic, and quite befitting, that Earth Hour is celebrated today all over Israel – one month after the rest of the world. 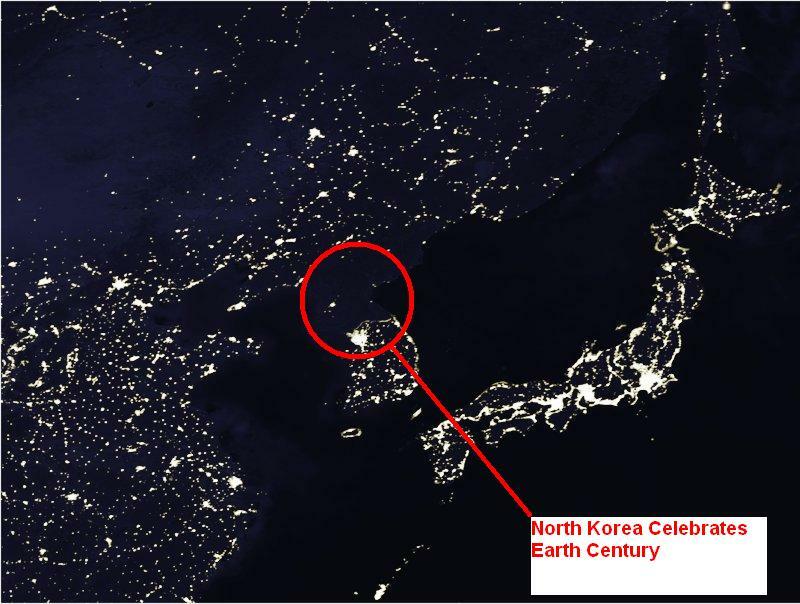 Except of course for North Korea, that celebrates Earth Hour every day.